Classique Care Services’ mission is to deliver the highest quality services to meet the needs of individual clients to improve and sustain their quality of life. We achieve this by promoting a standard of excellence, which embraces fundamental principles of Good Care Practice that is witnessed and evaluated through the practice, conduct and control of quality care in the domestic environment as well as ensure that the service is delivered flexibly, attentively and in a non-discriminatory fashion. 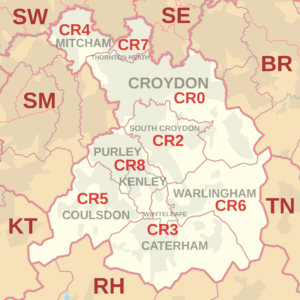 We are a small home care team in Croydon. Our ethos is to lead the way in providing the best quality home care, helping the many thousands of people who would rather stay at home than in a hospital bed, hospice or care home. Our clients receive the care they need tailor made for them. They are involved in all design-making including agreement of their personal care plan. Our Care Workers rigorous selection process that includes personal interviews, competency testing, psychometric testing, reference checks and background clearance. Once a Care Worker, each goes through a training and orientation process that guides them through our values and standards; going above and beyond the national legal requirements. They are given training on issues that help them develop as better overall Care Workers, as well as to deal with very specific situations. Our managers support and coach the team at Classique Care Services so they can deliver the best residential care to our residents, but also provide unrivaled support to their families. This means that you can rest assured your loved one is receiving the highest quality of care and you are supported every step of the way – peace of mind just when you need it.